Permission is granted to copy, distribute and/or modify this document under the terms of the GNU Free Documentation License, Version 1.3 or any later version published by the Free Software Foundation; with no Invariant Sections, no Front-Cover Texts, and no Back-Cover Texts. A copy of the license is included in the file COPYING-GFDL.txt. When you use a digital lens on a digital camera body, information about the lens model, focal length, and focal ratio is typically recorded in the image file. When you use a manual lens, this information is not recorded. Later, you might remember which manual lens you used for a particular photograph, but you often won’t remember the focal ratio or, for zooms, the focal length. Lens Slate helps you keep track of this information. 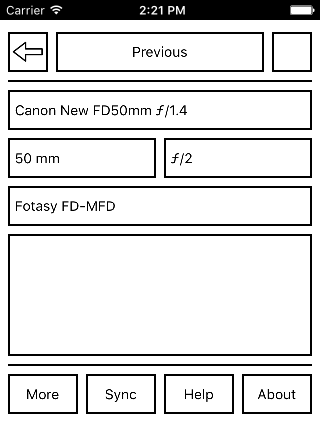 On the main screen of the app you select the lens model, focal length, focal ratio, adapter model, and whether the configuration applies to the previous images or the next images. The screenshot will be saved in the camera roll on your device. 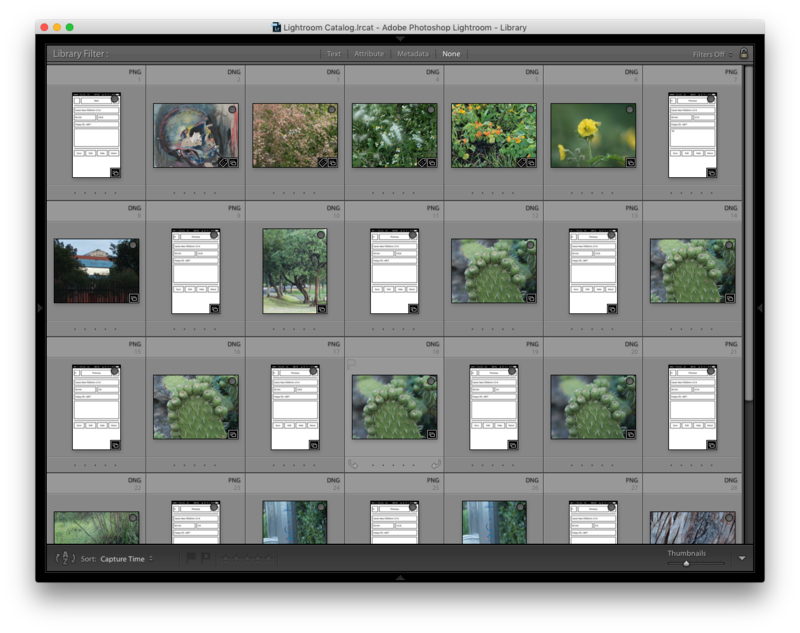 After shooting, you import the photos from your camera and the screenshots from your device into your catalog software (Lightroom, Photos, or similar). You can now match the lens configuration to your photos. If you want to take this a step further, you can write the lens configuration to the image files using, for example, exiftool or the Lens Tagger plugin for Lightroom. After installing and opening the app, you’ll be encouraged to register some lenses and adapters and to synchronize the clock on your camera. These processes are described in detail below. Lens Slate doesn’t know what lenses and adapters you have, so you’ll have to manually register them. This is admittedly a bit of a drag, but since Lens Slate remembers this information, you only have to do it once for each lens or adapter. 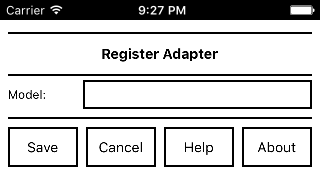 Then tap “Register Lens” to register a lens or “Register Adapter” to register an adapter. You can later change the registered information of a lens or adapter using “Edit Lens” or “Edit Adapter” and delete a lens or adapter using “Delete Lens” or “Delete Adapter”. You can register multiple lenses and adapters. Once you’re finished registering lenses and adapters, tap “Done”. For each lens, you can specify the model name, minimum and maximum focal length, minimum and maximum focal ratio (ƒ-number), whether the focal ratio changes by whole, half, or third stops, and whether the lens is native or adapted. For prime lenses, set both the minimum and maximum focal length to the same value or leave one blank. 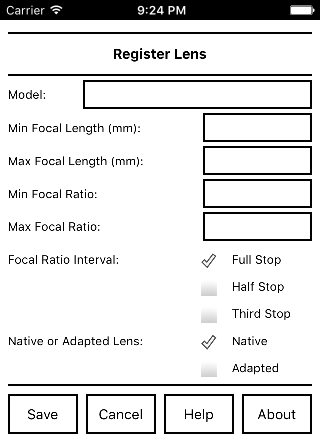 For fixed focal ratio lenses, set both the minimum and maximum focal ratio to the same value. The difference between native lenses and adapted lenses here is that for adapted lenses the adapter menu on the main screen will be active. Once you’ve entered the information, tap “Save”. If you want to abandon registering this new lens, tap “Cancel”. You can register multiple lenses. If you later notice a mistake, you can edit or delete a lens. Mirrorless cameras with short flange focal distances make it relatively easy to adapt lenses from other mounts. Adapters include simple mechanical adapters, electronic adapters giving aperture control and auto-focus, and optical focal reducers. Lens Slate helps you keep track of the adapter used with a particular lens. For each adapter, you can specify the model name only. Once you’ve entered the model name, tap “Save”. If you want to abandon registering this new adapter, tap “Cancel”. 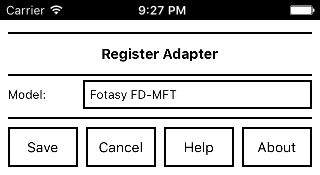 You can register multiple adapters. If you later notice a mistake, you can edit or delete an adapter. Tap “More” on the main screen, then tap “Edit Lens” or “Edit Adapter”. Select the lens or adapter from the menu and tap “Edit”. You’ll now be presented with a screen similar to those for “Add Lens” or “Add Adapter” which will allow you to edit the name and other properties of the lens or adapter. Once you’ve finished editing a lens or adapter, tap “Save”. If you want to abandon editing a lens or adapter, tap “Cancel”. Tap “More” on the main screen, then tap “Delete Lens” or “Delete Adapter”. Select the lens or adapter from the menu and tap “Delete”. You’ll now asked to confirm that you want to delete the lens or adapter. Lens Slate works by ordering images taken by your camera with screenshots taken on your device according to their capture time. Therefore, at the start of each shooting session, it is a good idea to synchronise the clock on your camera with your device. If you do not, your photos and screenshots might not be correctly interspersed. The clock flashes at the start of each minute to help with synchronization. You’ll have to read your camera manual to see how to set the clock on your camera. Once you’ve synchronized the clock on your camera, tap “Done”. On the main screen, select the lens model, focal length, focal ratio (ƒ-number), adapter model, and whether the lens configuration applies to the previous images or the next images. 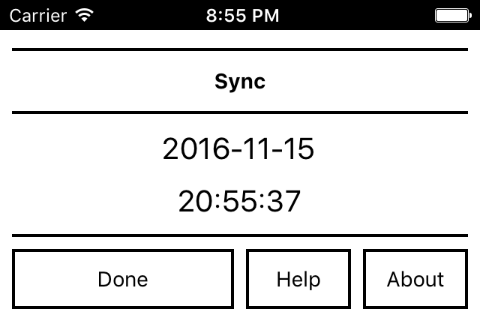 Tap the top row of buttons to change between “Previous” and “Next”. The intent of these are to show whether you are recording the configuration used for your previous image or the next image. Tap the name of the lens to bring up a menu showing all of the registered lenses. For zoom lenses, tap the focal length to bring up a menu of focal lengths. Tap the focal ratio (ƒ-number) to bring up a menu of focal ratios. The possible selections will be spaced by whole-stops, half-stops, or third-stops. For zoom lenses, there is an additional focal ratio “Fastest”. This is useful for variable focal-ratio zooms in which the fastest focal ratio at a given focal length might not match the values in the menu. 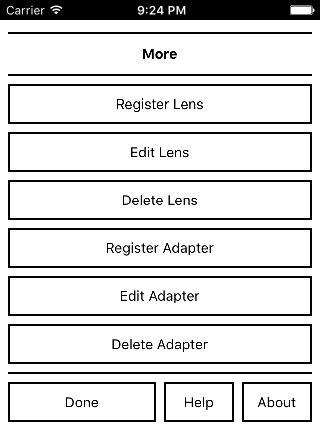 For adapted lenses, tap the adapter model to bring up a menu of all of the registered adapters. Below the adapter model is a text area for additional information. For example, you might use it to record filters or macro extension tubes. After shooting, import the photos from your camera and the screenshots from your device into your catalog software (Lightroom, Photos, or similar). You can now match the lens configuration to your the photos. If you want to take this a step further, you can write the lens configuration to the image file using, for example, exiftool or the Lens Tagger plugin for Lightroom. If you’ve run across a problem or have a suggestion, please send email to lensslate@gmail.com. The Lens Slate app is free software licensed under the GPLv3 license. This manual is free documentation licensed under the GFDLv1.3 license. Lens Slate was written by Alan Watson Forster. Thanks to Tom, Marc, Tom, and Ken for testing Lens Slate.